Yuri Horwitz and Will Graves dissect solar securitization as the industry prepares for a post-ITC future. In 2017 the federal solar investment tax credit (ITC) will be cut by 66 percent, falling from 30 percent to 10 percent of the total solar project value. This legislative change will be significant for the industry, and it will also be a test. Overall, we believe that while the industry may be overestimating its ability to reduce the cost of capital (even in a mature marketplace with a mature asset class), the future is quite promising for solar in a number of markets as project costs continue to decline. This two-part series provides the reader a strategy with which to analyze the changing solar landscape and the interactions between declining costs of capital for the solar project asset class, declining install costs for these projects, and electricity offtake rates. It also offers certain key perspectives and observations based on this analysis. The solar industry continues to focus on financial innovation as a means to drive down the cost of capital available to investors and developers interested in the asset class. These efforts are premised on the idea that if the industry can access “cheaper” capital -- meaning capital demanding less aggressive returns -- more projects will be viable and the industry will grow more quickly. For example, a solar energy project selling electricity at 6 cents/kilowatt-hour and providing a 4 percent IRR does not interest most investors, while a project selling electricity at 15 cents/kilowatt-hour and providing 9 percent or 10 percent IRR generally does. 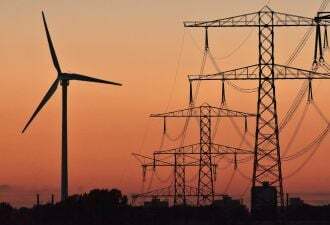 So, the theory goes, if more investors are willing to invest at 6 percent or 7 percent, then more solar projects should be viable because the project itself does not have to generate as much cash, which means the project does not need to charge the offtaker as much for the electricity the project is selling. This in turn means that there should be a greater number of potential customers willing to purchase the electricity from the solar project, and therefore more solar projects will be built. Since the cost of capital is generally related to the perceived risks and stability of an investment, more mature, less volatile and more stable assets typically have a lower cost of capital. As the solar industry matures, it is becoming evident that the great majority of solar projects have few operational issues, provide stable electricity production and have few problems with the entities purchasing the electricity (given the right electricity offtake and credit). Because solar investments appear to yield stable, predictable cash flows, the capital markets are starting to become more interested in investing in these projects. As a result, many sophisticated developers are working on a number of innovations to reduce the cost of capital for the solar asset class so that investment returns are commensurate with the relatively low risk and high stability associated with solar projects. These innovations include efforts to take companies public to secure a lower cost of capital at the corporate level; efforts to securitize portfolios of solar assets to access the public markets; efforts to create publicly traded and private YieldCos to hold solar assets at a lower cost of capital; efforts to transition structures such as real estate investment trusts and master limited partnerships to solar ownership; efforts to create debt facilities and funds focused on distributed solar assets; and efforts to syndicate synthetic tax equity funds from nontraditional investors. While all of these vehicles are major stepping stones in reducing a solar project’s cost of capital, these approaches have their limits. Let’s examine one such example in more detail. SolarCity is one of the most sophisticated and respected solar companies in the world. Its recent $54 million securitization is therefore a good place to begin our analysis. This securitized product was rated by S&P as BBB+, an extremely favorable rating. The coupon on these securities is 4.8 percent, a moderate return for investors based on a perceived low risk level in the security. Most believe that SolarCity’s ability to sell securities at 4.8 percent means that SolarCity is securing capital at 4.8 percent. This is incorrect. While SolarCity’s work is innovative and groundbreaking, there is a vast gap between issuing securities that provide dividends at 4.8 percent to investors and accessing capital at 4.8 percent for projects. When analyzing SolarCity’s recent $54 million debt product, it is important to note two key factors that impact the portfolio’s weighted average cost of capital: SolarCity’s cost to issue the debt product and the amount of debt used to finance the portfolio as a proportion of the overall capital stack. Using loan origination fees as a benchmark, one can reasonably assume a 100 to 200 basis point premium to underwrite and sell financial products like this one. These costs pay for the firms underwriting the portfolio and creating the financial vehicles themselves. In this example, Credit Suisse was the bookkeeper and structuring agent. Underwriting and structuring costs alone mean that the applicable cost of capital for funds like these is likely closer to 6 percent to 6.5 percent. Additionally, the 4.8 percent only represents a portion of SolarCity’s overall cost of capital for the portfolio, because this debt instrument is only financing a portion of the overall capital stack (the capital needed to fund or finance the project). In this case, the firm utilized the securitization to finance 62 percent of the portfolio, which is usually referred to as an advance rate. In other words, SolarCity grouped together a number of projects and utilized the securitized debt to finance 62 percent of the total cost of these projects, while providing the additional 38 percent of the capital themselves. However, lenders will have a lien on all of the systems in the portfolio for repayment even though they provided only 62 percent of the capital. Given the novelty of the transaction, one can assume that Credit Suisse secured a premium for underwriting and structuring the deal. Significant transaction costs were likely incurred to create new metrics and processes just to evaluate the portfolio and issue this product. This is good news for the industry. The transaction costs will inevitably fall with increased exposure to the asset class, but it is safe to presume that the first few debt products of this nature will incur transaction costs in the neighborhood of 50 to 100 basis points higher than subsequent transactions, which means it should get easier for the industry to follow in SolarCity’s footsteps. While bringing down the cost of sponsor equity is important, tax equity is still typically needed and accounts for around 40 percent of the capital stack. The cost of capital for tax equity typically hovers at or above 10 percent to 15 percent given the high demand and small supply of tax efficient capital. In this instance, assuming tax equity was 40 percent of the capital stack and its cost of capital was 10 percent, the overall weighted cost of capital would likely be around 6.88 percent. It does not appear that the SolarCity portfolio utilized outside tax equity investors, Instead, it likely utilized the 1603 grant in lieu of a tax credit. Given the expiration of 1603, this is unlikely to be the case in future solar transactions. As a result, the overall portfolio’s weighted average cost of capital for the SolarCity portfolio is not the 4.8 percent bond dividend rate; instead, it is likely closer to an estimated cost of capital between 7 percent and 9 percent, depending on the cost of capital for the equity component of the capital stack and the transaction costs associated with creating the security. To further complicate an analysis of the future of securitization, all lending relates in some way to monetary policy and long-term interest rates. The specter of 2017 looms larger if one considers the impact of Treasury Bill and LIBOR rates on a firm’s effective cost of capital. As interest rates increase or decrease, so will a firm’s cost of capital. 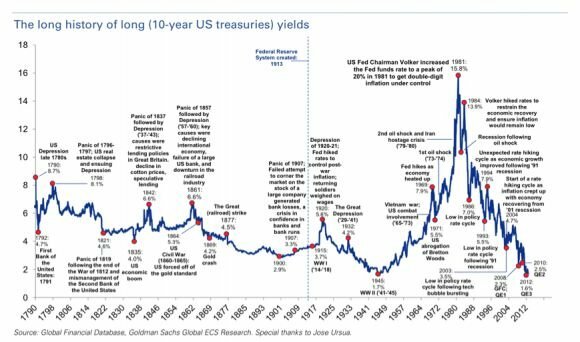 Currently, the United States is issuing Treasurys (bonds backed by the government) at one of the lowest yields in history, which means it is borrowing at very low interest rates. Not since 1945 have Treasurys yielded so little for investors. Most of this is a result of recent monetary policy, and specifically the Federal Reserve’s policy of quantitative easement. Twenty-year Treasury bonds currently have a yield of 352 basis points, up from 263 basis points on January 1, 2013. Most agree that the money supply will eventually tighten, as quantitative easing is not designed to be a long-term solution. As Treasury Bill rates increase, one can assume that capital markets generally will price access to capital at a higher level, and interest rates (and the costs of capital) for solar securities will increase as well. Our view is that solar asset-backed securities are unlikely to fall (in investor yield) far below 4.5 percent, which is currently where residential mortgage-backed securities (one of the largest securitized asset classes in the world) trade. For example, through December 30, 2013, the Barclays Government National Mortgage Association Index (GNMA) had generated a ten-year average annual total return of 4.69 percent, and an average five-year return of 3.99 percent. 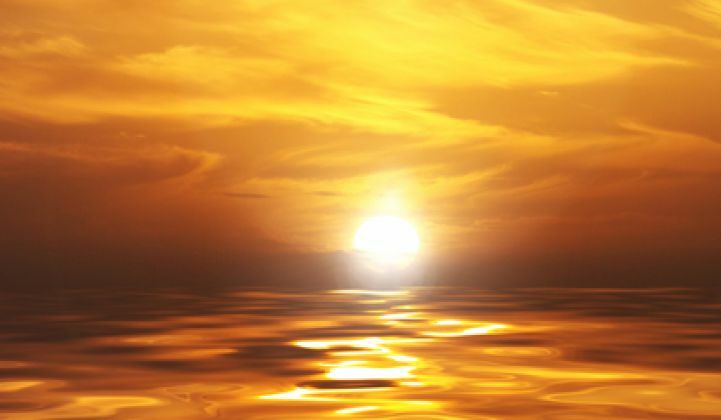 Further, we believe that underwriting and structuring costs, as well as a high advance rate (the loan to value of the overall portfolio) will drive the effective cost of capital for developers up higher to a range of 5 percent to 7 percent for large uniform pools of solar assets with significant operational history. In short, we disagree with the assumption of many that the blended cost of capital for solar projects will fall to 4 percent to 5 percent. This means the industry needs to continue to cut development, equipment, and customer acquisition costs. It also means that the industry absolutely needs the federal investment tax credit in the short term. This is part one of a two-part series on the post-ITC future of the U.S. solar industry. Look for part two, which will explore the direct impact of the ITC, next week. Yuri Horwitz is the Chief Executive Officer at Sol Systems. He has lead the company since its inception in 2008. Will Graves is an associate at Sol Systems.